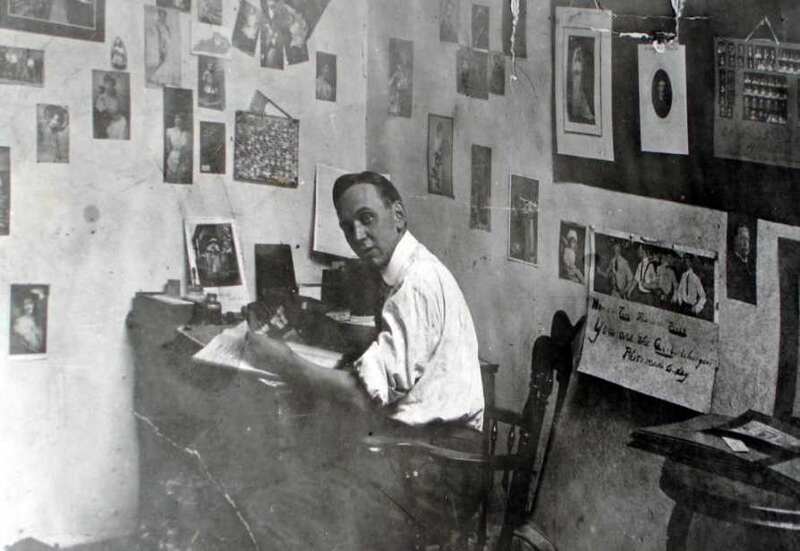 There have been many self-proclaimed psychics over the last century, but none so interesting as Kentucky's Edgar Cayce, the "sleeping prophet" from Beverly, KY just outside of Hopkinsville. Totally lacking the razzle-dazzle showmanship of your garden-variety professional psychics (which almost always turn out to be frauds), Cayce was a very reluctant psychic - once word got around about his powers, they had to practically drag him kicking and screaming into using them. 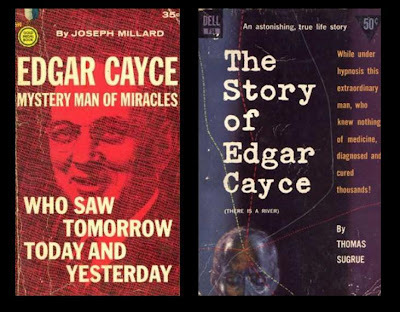 There were indicators early on that Cayce had the psychic "shining" gift as a child, and he gradually became famous in adulthood for his ability to go into hypnotic trance states. During these, he essentially browsed the so-called "Akashic Records" and spouted remedies for diseases and solutions for problems. He became so in demand for these readings, that by the end of his life, he was giving eight readings a day and his appointment book was full for two years in advance. 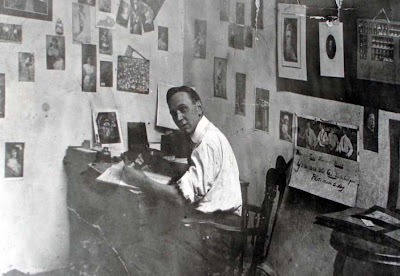 Unlike other psychics and spiritualists who gave vague, open-ended, non-specific advice, Cayce channeled accurate recipes for home-remedy treatments that worked. But because of his strict upbringing in the Disciples of Christ church, he had great misgivings and anxiety about whether what he was doing was sacreligious. But as long as his channeled cures worked, he reckoned he must be doing the Lord's work by helping people, despite the unusual methodology. As the years passed, however, Cayce gradually began to accept more and more of the "New Age" (though no one called it that back then) concepts associated with his trance readings, to the point where he went the other direction off the deep end, some assert. 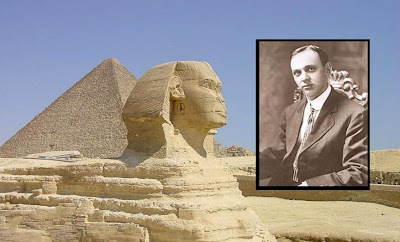 He began to embrace Egyptian mysticism, astral projection, communication with the dead, aura reading, reincarnation, karma, astrology, and channeled wisdom from a supernatural civilization on the lost continent of Atlantis. These super-Atlanteans, he proclaimed, also populated ancient Egypt and pre-Columbian America. He began to espouse a radical reinterpretation of Christianity that alienated many of his original devotees, much in the same manner as the Kentucky faith healer William Branham was doing contemporaneously. Cayce also began to speak of a cosmic conspiracy regarding an evil interdimensional secret society called the "Sons of Belial", who supposedly turned Earth's prehistoric early hominids into slaves. Cayce claimed that in a past life, he helped the forces of goodness free the apes from the aliens. He also claimed that he had once been an Egyptian priest named "Ra Ta" who was a master healer presiding over something called the "Temple of Sacrifice" and the legendary "Hall of Records" purportedly hidden beneath the Sphinx (as well as two branch locations in Bimini and Mexico). Further, Cayce taught that an alien civilization on the planets of Arcturus is one of the most advanced in this galaxy. 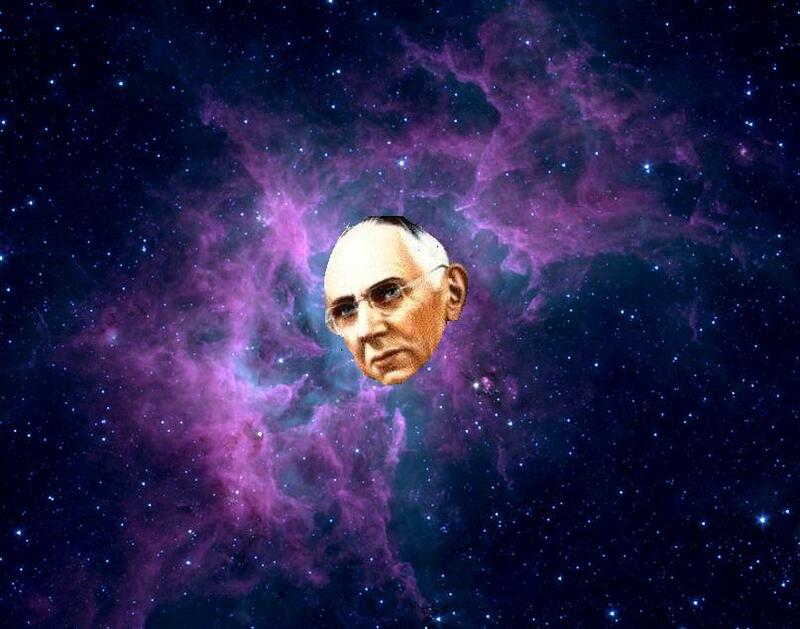 He described it a "fifth-dimensional civilization that is a prototype of Earth's future". From this, an entire army of spinoff UFO religions devoted to the Arcturians sprouted in the subsequent century, with many post-Cayce wannabe-channelers claiming to be Arcturians themselves, such as Commander Theda. 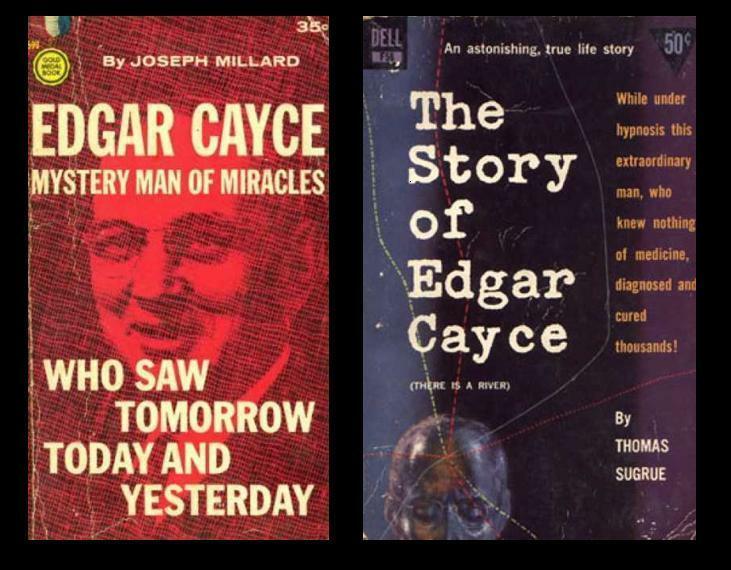 Cayce finally died of exhaustion in 1945, but his voluminous teachings are kept alive by the Association for Research and Enlightenment in Virginia Beach. Alas, there's very little tribute paid him here in his home state by Kentuckians, save for an exhibit at the Pennyroyal Area Museum and my own painting of him with a two-headed calf.